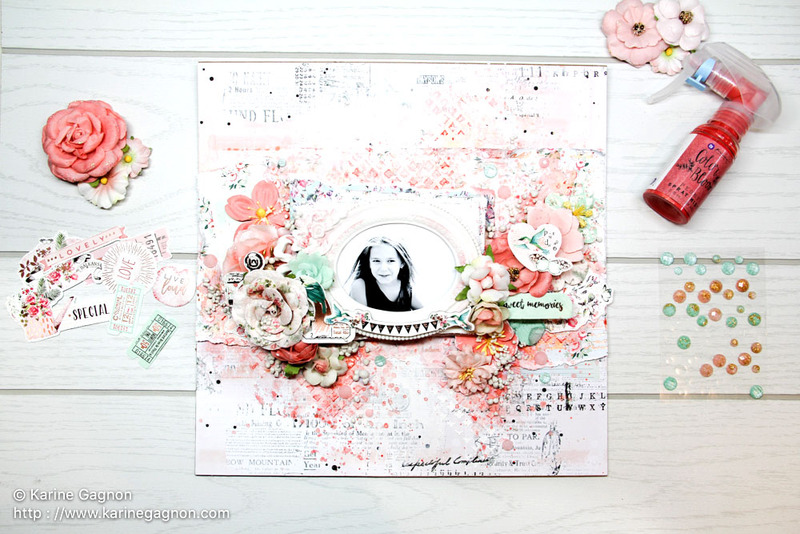 It's Tutorial Thursday and we are kicking it off with this stunning layout by Karine! Come see how she created this beauty, from start to finish, using the wonderful Havana collection, PLUS a few mixed-media touches. (Don't miss her Color Bloom trick!) If you've always wondered how to create a watercolor-style backdrop, well...here you go! Come watch and learn from the Prima pros! w h a t d i d y o u l e a r n ? Now how sweet was that? Karine is amazing and always creates beautiful projects with lots of white space, while still including fun texture elements and beautiful designs. What is one thing you learned today from the video?